Elder Richard G. Scott taught, “True conversion will strengthen your capacity to do what you know you should do, when you should do it, regardless of the circumstances” (“Full Conversion Brings Happiness,” Ensign, May 2002). The thousands of Lamanites who accepted the gospel demonstrate that conversion is a spiritual change—becoming a new being through the power of God. The scriptures describe the Anti-Nephi-Lehies as being so “converted unto the Lord” (see Alma 23:3,6,8,13; 24:6), that they “never did fall away” (Alma 23:6). The Anti-Nephi-Lehies who were “converted to the Lord” made a covenant to lay down their weapons of war. 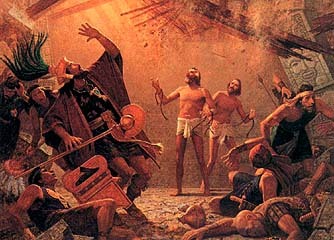 They buried them deep in the earth as a testimony of their desire to change (Alma 24:17-18). 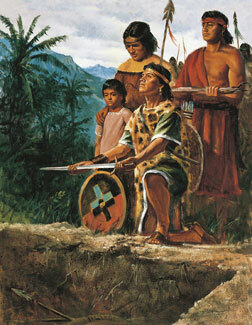 The Amalekites and Amulonites, who were former Nephites, stirred up many unconverted Lamanites to anger against their king and the Anti-Nephi-Lehies. 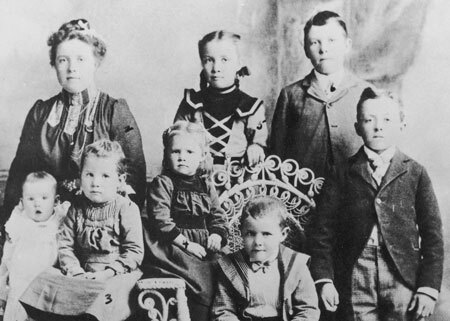 Many of the Anti-Nephi-Lehies sacrificed their lives rather than break their covenant (see Alma 24:6–19).